Deliveries of the Tesla Model 3 in Europe have just started. So too have some accounts of the most significant difference included in European-market versions of the electric sedan: their CCS Combo DC fast charging port. One of those first accounts has come from the European charging network Fastned, which already operates many stations with 175-kw CCS hardware. 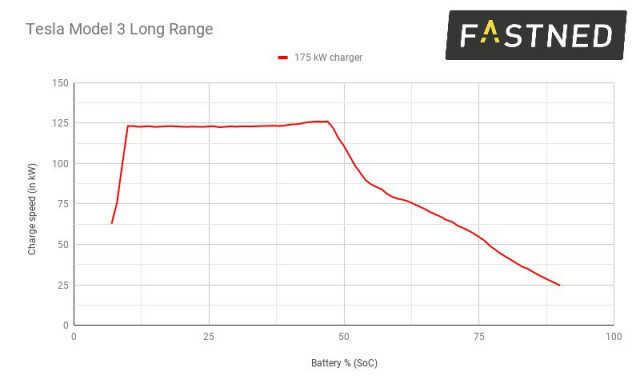 On that 175-kw hardware, Fastned showed that the Model S charged at a peak just above 125 kw. What’s especially of note, based on this graph, is that it stays at that maximum from around 10 percent state of charge all the way past 45 percent. Compared to what users have recorded with their Model 3 sedans on Tesla’s own Supercharger network, that’s both a higher peak power and a longer time near that peak. In order to be seen as a formidable alternative to Supercharging, it’s an important assertion for Fastned to make—that it’s quite certainly not slower with the CCS port. It may take many more examples and a deeper understanding to prove whether the Model 3 always charges faster on CCS, however. 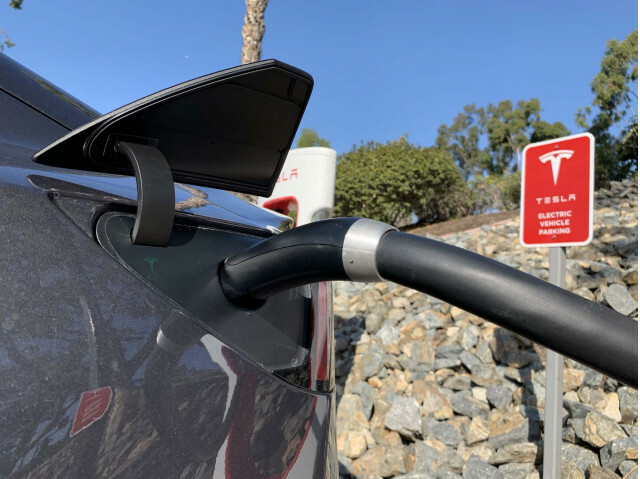 Some of Tesla’s Supercharger hardware is capable of delivering up to 145 kw; Tesla lists 120 kw as the peak charging rate for the Model 3. That ceiling of around 125 kw that Fastned reports is, perhaps not coincidentally, the same peak charge rate that Volkswagen is planning to accommodate with the vehicles built on its MEB architecture—to arrive in Europe late this year with a model so far known as the ID Neo. 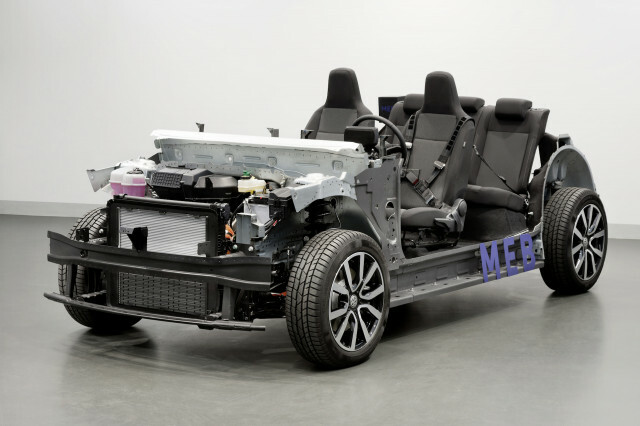 Volkswagen is aiming to build 15 million MEB vehicles globally by the end of its product cycle, later in the next decade, with the U.S. an important part of the plan (we get our first ID product around mid-2020). So it’s likely that if VW’s electric vehicles arrive as promised and Tesla’s momentum continues to build with the Model 3 and Model Y (expected to share its battery and charging tech) we’ll have millions of vehicles that can take advantage of 125 kw. The Kia Niro EV that we covered in a first drive review on earlier this month offers a peak 100 kw, according to Kia, but officials confessed that it hits that peak for a very brief time—part of the reason why that model’s 64-kwh pack takes only 15 minutes less to get from 0 to 80 percent versus the Hyundai Kona with the same size pack (about 60 minutes versus 75 minutes, respectively). 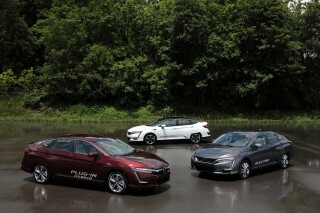 Several more vehicles are expected to hit the market yet this year in Europe with the capability to charge at 150 kw on CCS. 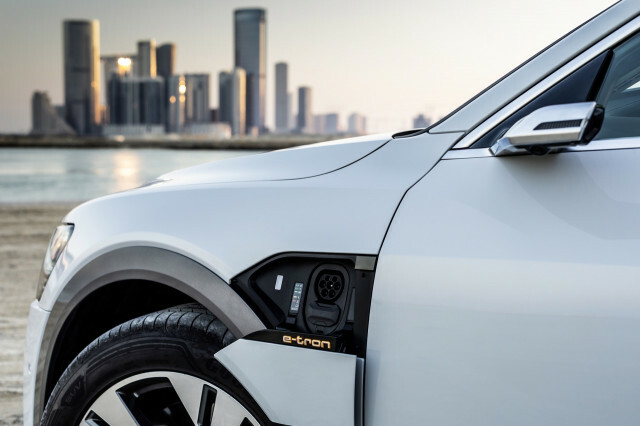 The next vehicle due for widespread delivery and capable of even higher-power fast charging is the Audi e-tron SUV, which will arrive in Europe next month and in the U.S. by late spring. 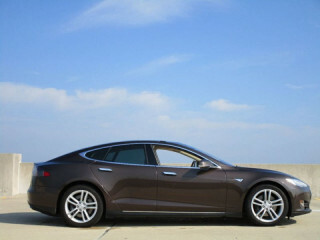 It will be able to sustain its peak 150 kw for a significant portion of the charge session, allowing it to regain 80 percent of the charge on its 95-kwh battery pack in about 30 minutes.